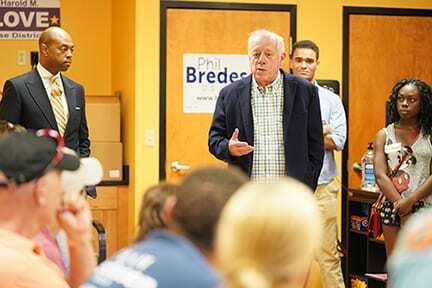 NASHVILLE, TN — Phil Bredesen has opened an office in North Nashville for his campaign for the U.S. Senate. The new location is at 1209 Jefferson St. where he shares the space with State Rep. Harold Love Jr.’s campaign headquarters. Bredesen has campaign offices in 14 towns across Tennessee.